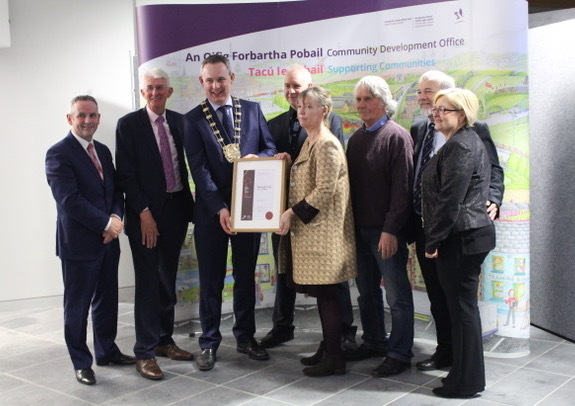 At the launch of Fingal County Council’s 2017 Pride of Place Competition, Nunce McAuley, Martin Russell and Brendan Sherlock representing Age Friendly Skerries accepted a certificate in recognition of the Skerries Age Friendly Town Initiative entry advancing to the 2016 finals. 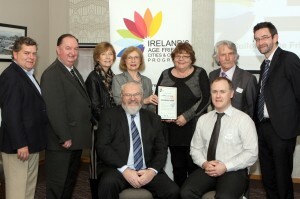 The event took place in The Atrium, County Hall, Swords on Tuesday, February 28th. 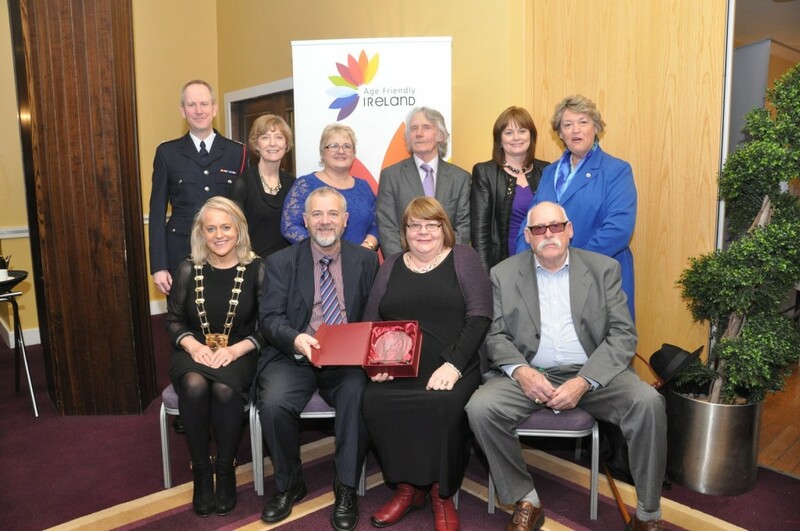 At the event, all three groups who represented Fingal in the 2016 Pride of Place Competition were recognised for their great achievements. Raif Costigan of Fingal County Council was MC for the evening and introduced the Mayor of Fingal Darragh Butler, Tom Dowling of Pride of Place Ireland and Paul Reid CEO Fingal County Council ​who spoke and congratulated all three groups who represented Fingal in the 2016 finals at the Belfast Waterfront last November. Next up came presentations to the three groups in recognition of participating and representing Fingal. All three groups were invited to say a few words as to their experience of having participated in Pride of Place 2016. Each group were photographed and then group shots were taken. The Tower singers entertained and refreshments were much appreciated to round off a very enjoyable evening. 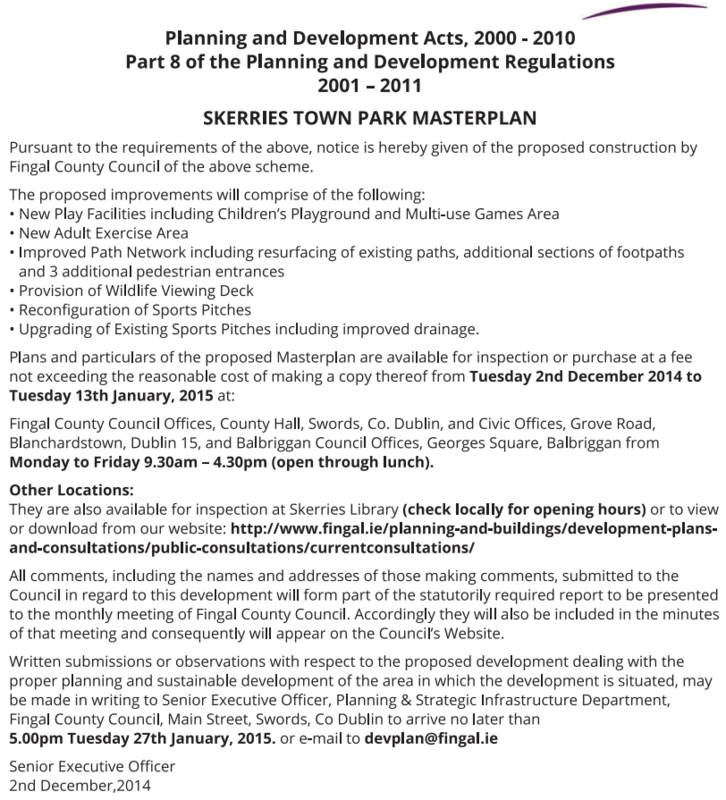 Skerries is a good place for people of all ages. 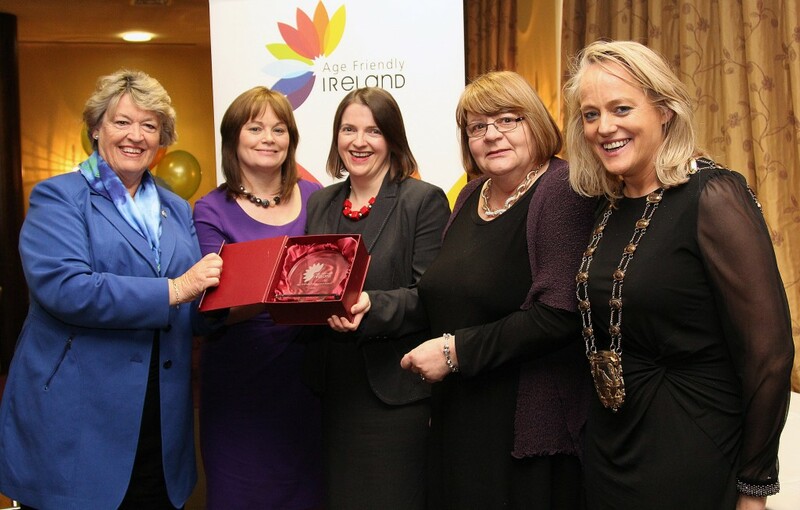 This is the result of the work of many – including members of a Skerries initiative, who recently received an Age Friendly award. The picture of the Skerries / Fingal contingent at the awards ceremony gives you a good idea of the level of cooperation which made this possible. 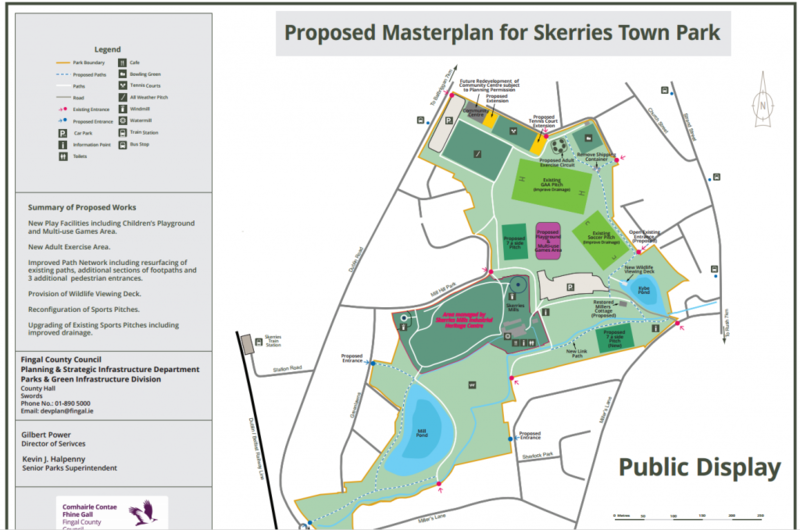 One of the results of their work is the current redevelopment of our Town Park with particular emphasis on making it an environment that is “friendly” to people of all ages. 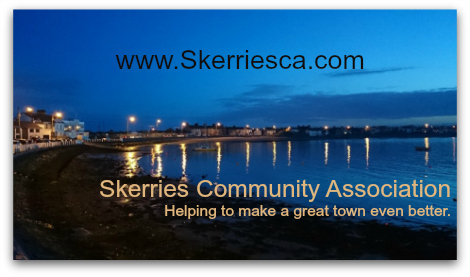 Age Friendly Skerries is a committee of Skerries Community Association, and more initiatives are underway – keep your eyes open for updates! It is so inspiring to be here today and hear about all the wonderful work going on around the country to make Ireland make our communities more age friendly. The benefits of an age friendly approach will be felt by all members of the community, not just older people. Working towards the goal of age friendliness makes for more cohesive communities. 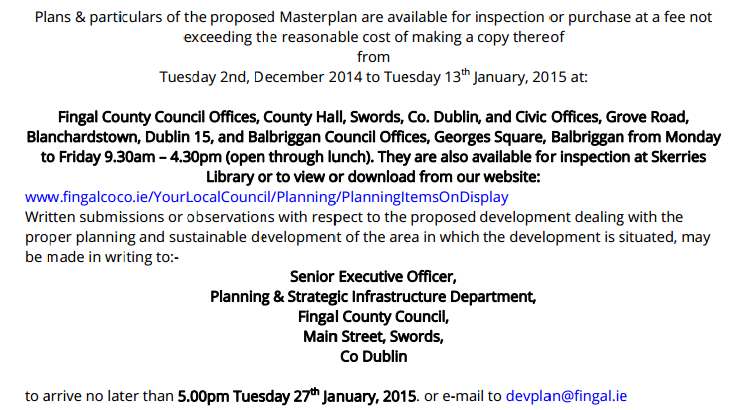 See also the Age Friendly Ireland website.